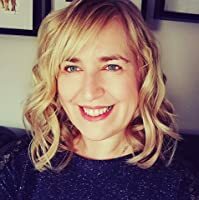 Back in 2014 I had the huge honour of being shortlisted in the Romantic Novelists Association, Romance Novel of the Year – Contemporary Romance Category (RoNA), for my debut novel Bridge Over the Atlantic. This book was re-published in 2017 when I signed a four book deal with Aria Fiction. The new title is A Seaside Escape and the new version has been very well received. I’m a happily married mum of one with two energetic dogs who make cameo appearances in some of my books. I love writing and creating new characters and now have the pleasure of writing almost full time. In 2012 my family and I relocated from England to our favourite place in the world, Scotland, and we are now happily ensconced in village life. The stunning location was the inspiration for my writing career and so it’s only right that it features in all of my books. Writing has always been something I’ve enjoyed, although in the past it has centered on poetry and song lyrics; some of which appear in my stories. But to now be a published author is a real dream come true. I’m loving being signed to UK publisher Aria Fiction – an imprint of award winning Head of Zeus and I have many more books in the pipeline! You can follow me over on Facebook. I recently had the privilege of rating What Becomes of the Broken Hearted by Lisa Hobman. The book rated especially high for writing style, character development, dialogue and setting. I gave it top marks for the ending. The ending was PERFECT! Predictable, but that is what a romance novel means to me. Not one for giving away spoilers, there was one scene in particular which was about as romantic as it could be. I love the voice Ms. Hobman writes with – especially for Mac, the main hero. The story is of Cassie Montgomery’s journey from having everything to nothing and back again. As can be seen from the cover, it is set beachside in a small coastal town in Scotland. I could almost smell the sea while reading and was transported to Cassie’s little rental home every time I picked up the novel. But it wasn’t only her quaint home that made me want to jump right into the book. Mac’s simple world along the edge of the beach was the one that truly called to me. I wouldn’t generally consider myself a “surfer chick”, but Mac’s lifestyle was one I would gladly call my own. My only negative comment was there was a bit of a stagnation before the really wonderful end (how many times can the protagonists fall for the antagonist’s tricks?) Other than that blip, this novel made me laugh, it literally teared me up, and it made me sigh at the end. Perfect Romance Novel.